For Saints' fans who have emerged from the depths of the soul-crushing loss at San Francisco, the dominant headline is the lingering futility of the Brees' contract negotiations. Why hasn't a deal been yet finalized? Brees and his agent are asking in the neighborhood of $22-$23 million per year. And apparently the Saints don't want to pay him anywhere close to that. There is obviously a middle ground somewhere, but for some reason it's evaded both parties. Regardless, it is certainly not Brees' duty to take a bad deal in order to "keep the team together." Instead, Brees should receive what he's rightfully earned. Why should Brees take a sub-market value price of, say, $16-$17 million so that the Saints might be able to re-sign both Nicks and Colston? Who's to say that even if Brees did so, the team could still afford long-term deals for all three players? Any person who thinks Brees should now "take one for the team" is out of his/her mind. That's what he just did for the past six years, and it's one of the reasons the Saints have been able to assemble a deep and talented team around him. Now it's time to pay up. Brees is due, and has more than earned, a contract requisite with being the best player in the league. There's no getting around it. It's Loomis' job to figure out how to keep the core of the team together, not Brees'. And do people really think that the qualities that make Brees who he is will suddenly disappear during contract negotiations? Let's not forget that, not too long ago, Brees thought his career as an NFL QB might be over. But then it wasn't. And then he spent the next six seasons compiling the most prolific set of benchmarks for any QB in NFL history, breathing life into a franchise and city, and winning a Super Bowl. And now he's reached, in all likelihood, the absolute peak of his earning power. Not only should Brees exercise the full weight of his leverage, he shouldn't be expected to--or guilted into--taking less than what is rightfully fair in this case. 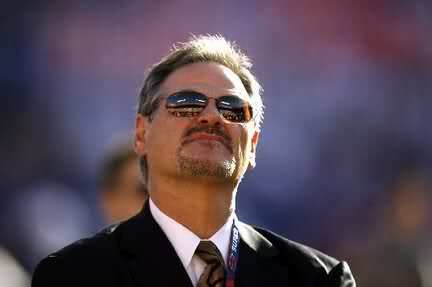 Lost in all of this is that Mickey Loomis might have, for once, miscalculated. This ESPN article from TWO years ago suggested that a new deal was in the works, and stated that "nobody around the league expects Brees to play the 2010 season under the six-year, $60 million contract that he signed in March 2006." But what happened? Brees played two more seasons under his original deal. Nothing got done. Why? Maybe the front office thought that by waiting it out, they would gain some semblance of leverage. After all, they were all but certain that Brees would not publicly make an issue of it. So why not wait? But now, after the historic season Brees just delivered, any minimal amount of leverage that Loomis was counting on has completely eroded. In fact, Loomis is now probably in the worst spot he could be in. Long ago, Brees could have been signed to a more team-friendly contract, leaving the Saints with more cap room. Moreover, progress could be underway with the various other pressing free agent issues facing the Saints. But it appears that Loomis' strategy has backfired, and the Saints are now closing in on the date that will necessitate them using the franchise tag on Brees. I know it's business and all, but tagging Brees would be a terribly poor reflection on the front office and an insult of the highest order to Brees. Combine this with the fact that, by tagging Brees, both Nicks and Colston would walk into an open market and the potential ramifications of this quandary represent a worst-case scenario for how this mess is playing out. Does Brees want Nicks and Colston to return? Of course he does, but it's completely out of his hands. Nobody thinks Brees is going to hold hostage the franchise and demand $25 million. But it's also completely unreasonable for him to take a bad deal so Loomis has the chance to sign other players. Again, this current situation is the end result of Loomis' strategy. He's painted himself into this corner. Maybe he has it figured out, but if he does, this is an odd way of going about it. It's not Brees' obligation to rescue him. 1) Pay him for 2012 under the "exclusive" franchise tag, keep him for one more run at the Super Bowl, draft his replacement, and let him walk after next season. 2) Allow him to enter free agency under the "non-exclusive" tag and sign elsewhere this offseason. In this scenario, the Saints will be compensated with two first-round draft picks. And though the loss of Nicks will diminish the Saints' chances at winning the 2012 ('13) Super Bowl, they'll at least be compensated for drafting and developing Nicks. But mind you, none of this can happen if Brees is not signed to a contract in the very near future. So where does Colston fit in to all of this? Actually, I have no clue. But my guess is that Colston will ultimately remain a Saint. Last year, Roman Harper and Lance Moore did the whole "not taking a hometown discount" thing, and you see how that played out. Further, Colston has stated how fortunate he is for playing his entire career with Brees; that should be a good insight into his motivations this offseason. The likelihood, though, is that Colston will negotiate freely with other teams this offseason. Don Banks of SI.com recently pointed out that Colston is "one of the best receiving options to come available in free agency in a long time." If some competitive team makes a huge offer to Colston, all bets are off. 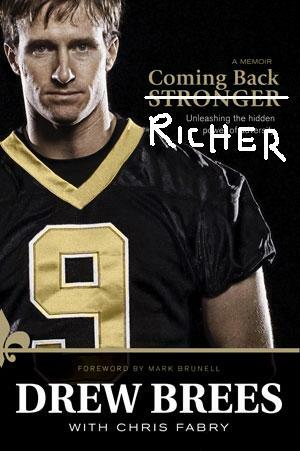 Unlike Nicks, Colston's contract situation seems less tied to Brees' contract. I don't foresee the front office tagging Colston even if Brees' deal gets done, so that means he'll be a free agent regardless. It's almost certain that the Saints won't be able to pay Colston as much as several other teams will; but if they can provide a market-competitive rate, I don't see Colston leaving. So where does this leave us? Basically right where we were two years ago. Two years ago. Nothing will happen until Brees' contract is worked out. There's about a week or so left before all hell breaks loose. As Saints' fans like to say, make it happen Loomis.